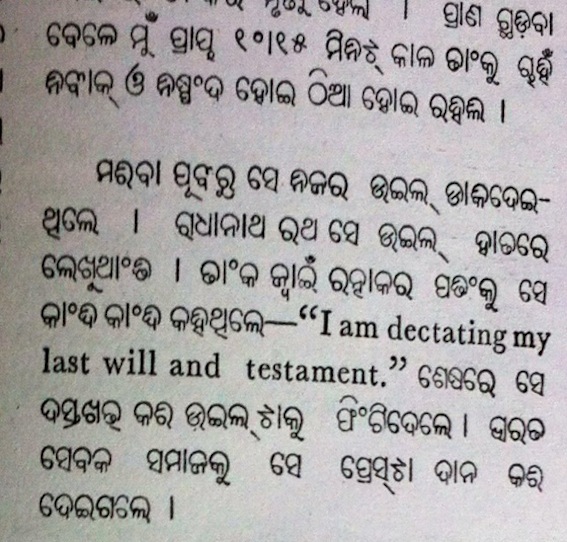 For resurrection of Orissa comprising the Oriya speaking tracks, the one man that had taken the first initiative is Dinabandhu Pattanayak of Ghumusar. He was a government official. 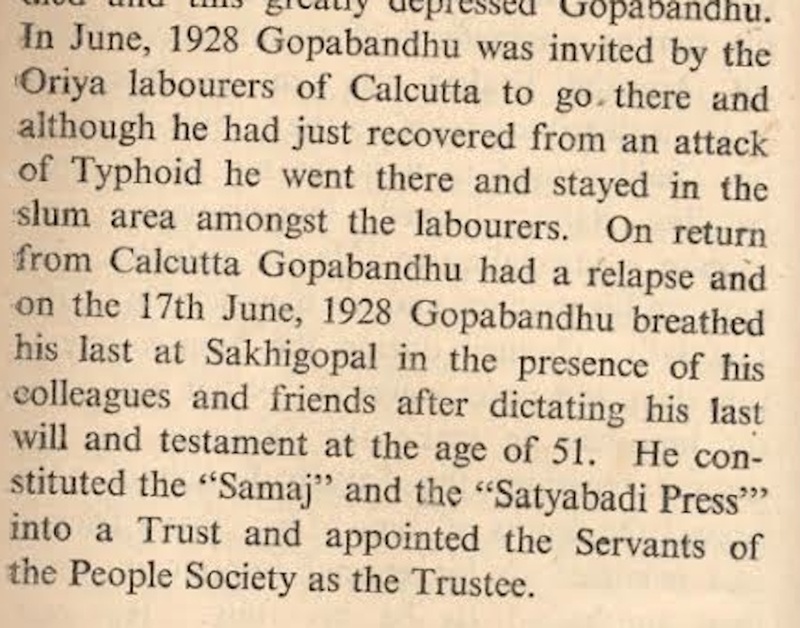 Yet, he had organized the first meeting of Oriyas of his area for collective application of mind on how to save the language, literature, culture and properties of the Oriyas from the evil grip of non-Oriyas to whose provinces the British had arbitrarily tagged the Oriya speaking tracks taking advantage of a compromise with Buxi Jagabandhu that had given it a status of a government in the eyes of the people of Orissa. The meeting he had convened and guided, resolved to seek amalgamation of the Oriya speaking areas for resurrection of the divided Orissa. 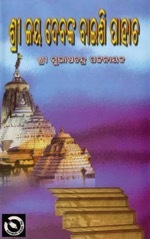 Dinabandhu had attracted attention of the Oriya brethren living in Cuttack and Puri to this mass thinking, through Utkal Dipika, the most famous mainstream periodical of the time. 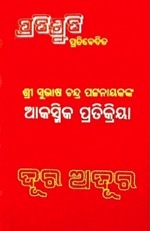 His appeal woke up the lion from slumber and Kula Gourav Madhusudan Das took the lead in building up a very unique movement for resurrection of Orissa. 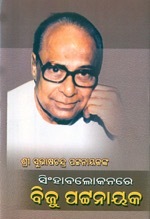 Oriya authors, scholars, and statesmen got united with the media in making this movement an epoch making success. 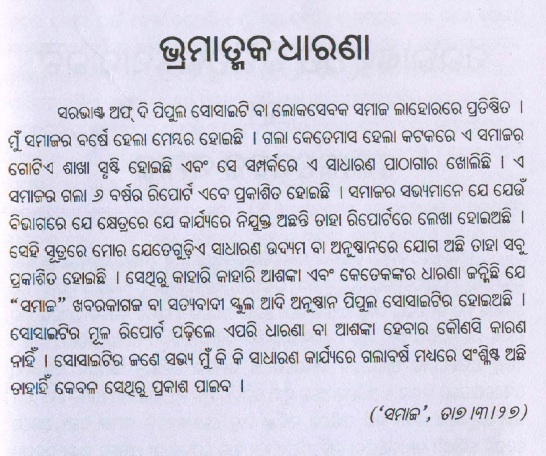 When we celebrate Utkal Divas, the day of birth of modern Orissa, we ought to recall Dinabandhu Pattanayak, the first man who had dreamt of this Orissa and had given birth to the movement that made it come true. You may visit this link to know of him. The Election Commission of India has initiated a campaign urging people to vote for candidates who are pro-development. 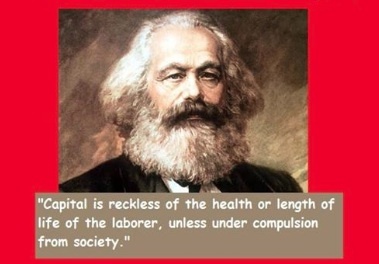 In showing the way for development, Karl Marx had emphasized on people’s control over capital. “Capital is reckless of the health and length of life of the laborer, unless under compulsion from society”, he had said. Development would truly come on removal of economic inequality, had said the father of Indian Republic, Dr. Ambedkar. In his reply to the final debate on the draft Constitution of India, he had admitted that allowing capital the scope to enjoy dominant freedom in free India, the Constituent Assembly, comprising rich and propertied members in majority, had to create a condition that makes the country a country of contradiction, which, unless removed, the Republic would eventually collapse. He had said, “On 26th January 1950, we are going to enter into a life of contradiction. In politics, we will have equality and in social and economic rights we will have inequality. In politics we will be recognizing the principle of one man one vote, one value. In our social and economic rights we shall by reason of our social and economic structure, continue to deny one man one value” And he had warned, “We must remove the contradiction at the earliest possible moment or else those who suffer from inequality will blow up the structure of political democracy which this Assembly has so laboriously built up” (CAD, Vol.XI,p.979). 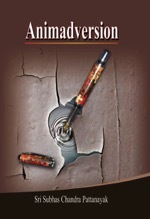 India is now collapsing, as predicted by Dr. Ambedkar, because of the fellows elected to Parliament – in Government since independence – have blatantly and willfully failed to remove the contradiction Ambedkar had pointed out, and the situation has become such bleak that Government is waging wars against the people of India that are demanding development, working for protection of environment, asking for preservation of mineral wealths for future generations of Indians, raising voice against exploitation, and working for a better India through insistence on State’s control over the capital. When a rabid anti-people and pro-capital Manmohan Singh drafts more funds for development of areas under Naxal activism, how hundred percent true are the words of Marx become unambiguous. Marxists are, therefore, required to fight on every point against politicians that stand for dominant freedom of capital. This election is helping this phenomenon evolve. It is a heartening reality now, that, the Communist Party of India, the party of matchless sacrifice for the country, has fielded its candidates without allying with any other party, specifically, agents of plutocracy. I have shown earlier in my discussion on Baji Raut, how the CPI was a great factor of extinguishment of kingship in India that helped it having its present geographical shape. Had it not been banned by the post-independence caretaker government headed by Jawaharlal Nehru in order basically to keep its leadership away from making of the constitution, the country could never have been a country of contradiction. In freedom struggle the militants that hastened our freedom were Marxists whom people knew as the communists. They are the patriots who have immensely enriched the martyrdom of India. They were personifications of romance of revolution. They were sent to and tortured at cellular jail in the Andamans and exterminated in gallows in the majority. When the said cellular jail was made a national monument in 1969, the ones of them who had survived the brutal tortures there and were still living in India, were invited and taken by the Government of India to witness the event and to receive the grateful nation’s felicitations. 102 of those heroes of our freedom struggle had gone there and graced the transformation of the cellular jail to national monument. Out of those 102, as many as 99 were the members of CPI. This reality is known to history. History has known and recognized that the ramparts of capital – the private banks – were nationalized because of CPI’s strategic support to Mrs. Indira Gandhi in the phase of her fight against rabid agents of capital called the Congress Syndicate. Abolition of Zamidari (dominions of landlords) and land reforms were possible because of CPI’s role in that phase. Yet when Indira was swayed away by power that corrupts, and a new syndicate of thugs, described by the press as her kitchen cabinet, controlled the country, anarchy sic passim administration, it is the CPI alone that had stood against the odds and had given the strongest opposition to that anarchy, even at the cost of the lives of its cadres. Had it not been so, the monstrosity of terrorism Bhindranwale had unleashed, could have completely destroyed the synthesis of Indian Union. It is an imperishable admission of history that when all other political parties of India were not daring to protect the motherland from the reign of Bhundranwale’s Khalistani terror, it was only one party – the Communist Party of India – that was waking the people up against the huge horrifying danger. And in this mission, many members of CPI, even with their families, had succumbed to bullets of Bhindranwale and his gang. In an editorial, even the known right-wing paper – the Indian Express – had written, “the CPI has taken a commendable initiative in launching a mass contact programme in Punjab as a means of isolating the terrorists. It sent jathas through each of the State’s 12 districts for this purpose. In sharp contrast, the other parties which have often proclaimed the importance of such work among the people have done next to nothing to match their profession with practice”. In this editorial, the Indian Express had further notes, “this vital task has not so far been taken up by any party other than the CPI. X X X X The worst part of the situation is that the Congress (I) has remained supremely passive in this regard”. In an editorial on April 10, 1984, the Tribune had written, “We have been repeatedly writing that the responsibility for not solving the Punjab tangle lies as squarely on the Akalis and Indira Government as on all the opposition parties, except that of the Communist Party of India”. As all other political parties were mere passive onlookers of the dance of terror Kalistani bullets under Bhindranwale were perpetrating to the total debacle of India, the Communist Party of India was the only exception. Its cadres were sacrificing their lives to protect the structure of India. The Indian Express had noted on 26 July 1987, “The main factor for their becoming targets of terrorists is because the Communists have taken the major initiative to mobilise people against terrorism”. 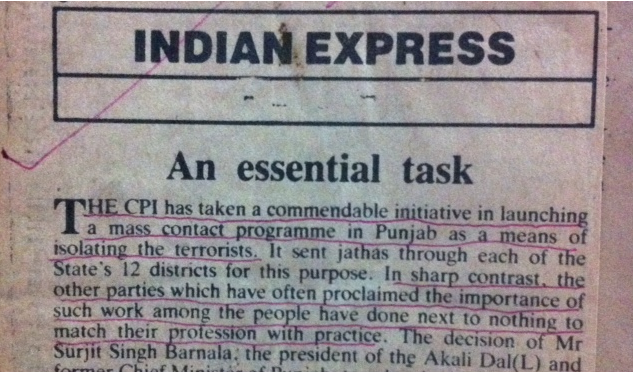 A report in Times of India on 13 January 1987 has kept on records how the Punjab Police Chief Mr. J. F. Rebeiro had to recognize the unique contribution of CPI to the cause of the country in that phase of its life under the shrouds of terror. 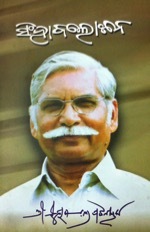 In describing the horrifying situation, Mr Rebeiro had said in a public function that the security forces in Punjab were fighting an “enemy” who is almost a lunatic and has subverted the entire judicial system “by creating terror in the mind of witnesses, judges, lawyers, prison staff and also to some extent the police force”. In such a severe situation, when all other political parties were too afraid of Bhindranwale to work for safety of India, it was only the CPI that was intensely trying to ignite the sense of responsibility of the people for the motherland. The said report carried a PTI input that said, The DGP had a word of praise for the Communist Party of India in Punjab whose workers and leaders were coming out openly against terrorists and even facing bullets. If this spirit was adopted by other political parties including the ruling Akali Dal, the task for the law enforcing agencies to put an end to terrorism would become much easier”. This is the tradition of sacrifice and suffering for the country, only one political party – the Communist Party of India – is credited with by history. Living history of India has marked, whatever be its strength in Parliament, the CPI has done its best to foil anti-people designs of plutocracy pursued menacingly by Prime Ministers like A. B. Vajpayee and Manmohan Singh by combining the apt combats of its stalwarts in Parliament with extra-parliamentary struggles of the working class led by its organizational wings. As the shrewd method of handing over India to private sector through Public-Private partnership is “legalizing the private appropriation and institutionalize the losses, the CPI now seeks mandate to oppose this design. It wants Mandate 2014 to give it necessary support to carry out such programs that would form the basis of alternative socio-economic policies for betterment of India. While saying ‘no’ to FDI in retail trade, it insists upon “defence of public assets, strengthening of the Public Sector and reiteration of the State’s role that would stop privatization of profit making PSUs and handing over of natural resources like gas, petrol, coal and minerals etc, to private sector. In its agenda, the State is to be the sole owner of all natural resources like minerals, oil and gas. It wants housing, food security, education, employment and healthcare for all with special emphasis on ending malnutrition among women and children. It wants to redefine the path of development in a way that leads to economic development with equitable distribution and social justice. The CPI with its proud record of combining the people’s struggle for a better life inside and outside Parliament appeals to the electorate to vote for its candidates in different part of the country. One may pride in supporting the CPI. Suicide is a helpless person’s most aggressive revolt against a situation that reduces him/her to a very undignified existence. Homicide is proof of brutality the stronger perpetrates on the weaker. Both these deaths are illegal and attract the Indian Penal Code. Unnatural death occurs by either of these two conditions or by accident. Accident does not attract the IPC. When, an unnatural death occurs in a family, it is the minimum duty of the family to convince the society or law that the death was neither suicidal nor homicidal and hence there is no illegality in the death. 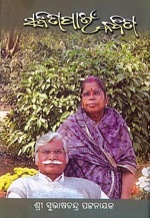 In the case of unnatural death of her daughter-in-law in 2007, acclaimed authoress Ms. Prativa Ray has not discharged this duty to the society. She and her family members, of their own accord, should have proved that the death of the family’s pregnant daughter-in-law was purely accidental. They have not, even though, according to journalist Deviprasanna Nayak’s impression expressed in a global social media, she and her husband are enjoying anticipatory bail. The case is lingering. In absence of proof that the death was accidental, the society will naturally suspect that it was either suicidal or homicidal. Therefore Law has drawn up its reported plan of prosecution. 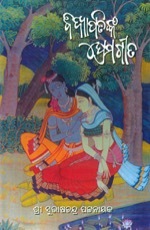 And, this is torturing Orissa as a whole, because there are emotional admirers of Ms. Ray’s writings. Bail itself is a legal instrument that binds the person concerned to prove his/her innocence as soon as possible so that the the case should quickly end. If, instead, it becomes an instrument of dilatory tactics, and a passage to freedom from grip of law, discomfort of the society gets more defined. Now, therefore, Ms. Ray and her family should say as to why no expeditious step has been taken so far to convince the society that the death of Sharmistha, the pregnant daughter-in-law of the Rays was nothing but natural. Instead of merely leaving the case to the labyrinth of law sine die, alert members of the society would naturally insist upon speedy and effective trial, so that premature extermination of any member of the society under circumstances that would not look natural should be strongly deterred. India’s civilian award winner novelist Prativa Ray is under discussion due to unnatural death of her daughter-in-law and arrest of her remarried son long seven years after the occurrence. But, she is immaterial. Material is the society’s anxiety to know as to why her daughter-in-law’s death was unnatural. No elaboration is needed on the axiom that Justice delayed is justice denied. Lapse of long seven years in bringing a suspected offender of law to the grip of law itself is evidence of denial of justice to a pregnant lady member of the society who lost her life so suddenly and unexpectedly that, in the language of law, be it suicidal or homicidal, her death is not natural. Legally, it is a case of unnatural death. Therefore, onus lies on the husband and in-laws of the deceased to convince the society as to why her death is not unnatural, because after marriage, Sharmistha was their family member and was certainly under the care of that family. Mrs. Prativa Ray is the most known face of that family. She should have made the society convinced by now that her daughter-in-law’s death was natural, not unnatural. She has not done it. In reality, she is duty-bound to do it; because she has been decorated with the Indian Civilian Award Padmashree and for that reason alone, she should have felt that she has a special duty to the nation of India to ensure that the civilian award given to her is never soiled with a muddy tag of unnatural death of her daughter-in-law. On the other hand, silence of mainstream media in the matter enhances the suspicion that there is going on a game of suppression. 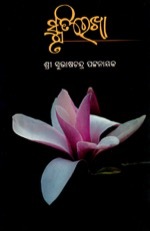 When journalism is being increasingly vitiated with viruses of compromise with ethics and lobbyists are not rare amongst the journalists, silence of mass media organizations in this particular matter enhances the fear that unless people in general wake up to the occasion, the circumstances that extinguished a brilliant daughter of Mother Orissa would never be known and avenged. In such a situation, social media is the only instrument available to the society to ensure that offenders of law do not escape the law. In Sharmistha’s case, therefore, it would not be unnatural for social media to chase this case, so that someone’s beloved daughter, on becoming a daughter-in-law, doesn’t succumb to any unnatural death. Death must come with dignity. But unnatural death is never dignified. Hence, this is the duty of social media to represent the society in creation of the environment where death shall never be undignified. My friend Prasanta Patnaik has instituted a “Mission Justice” campaign in Facebook. One who knows him, knows that he is a man of no malice towards anybody. So, his campaign has no malice. He is in this mission as a conscience keeper of the society. And, therefore, this new campaign deserves serious attention, cogitation and participation. In fact, as I understand, in this mission, Mrs Ray is immaterial. Justice being a social matter, Social Media rightly acts the sentinel to see that Law doesn’t falter in finding why her daughter-in-law’s death is unnatural.